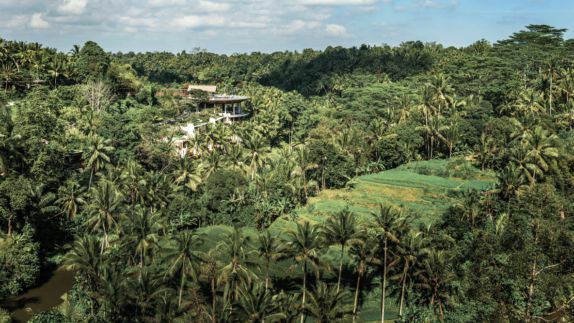 Cascading down the verdant rice terrace slopes to the sacred Ayung River, the Four Seasons Bali at Sayan offers a reprieve from the bustling city of Ubud and provides a more tranquil haven where you will meet nature’s embrace. 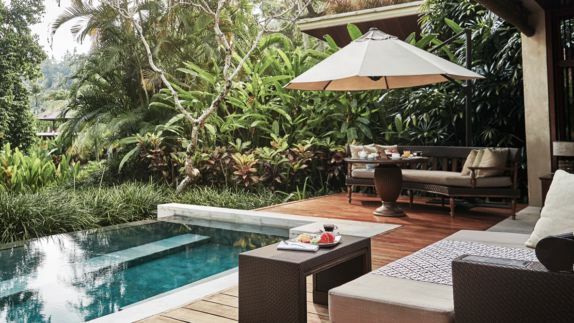 The resort is at the cultural heart of Bali and features newly renovated modern suites and villas, exceptional service, and tantalizing dining options. 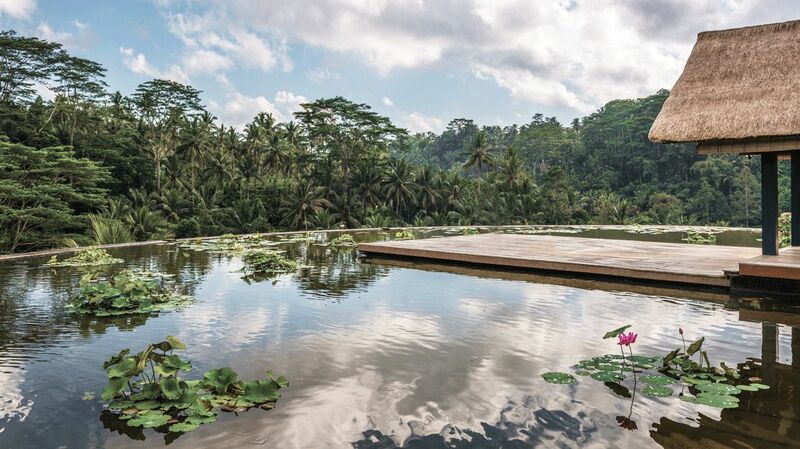 Whether you are looking for a soul-soothing retreat, a romantic escape, or a culturally enriching family holiday, the Four Seasons Bali at Sayan delivers a magical experience that keeps guests coming back again and again. Why choose the Four Seasons Bali at Sayan as my base during my stay in Bali? 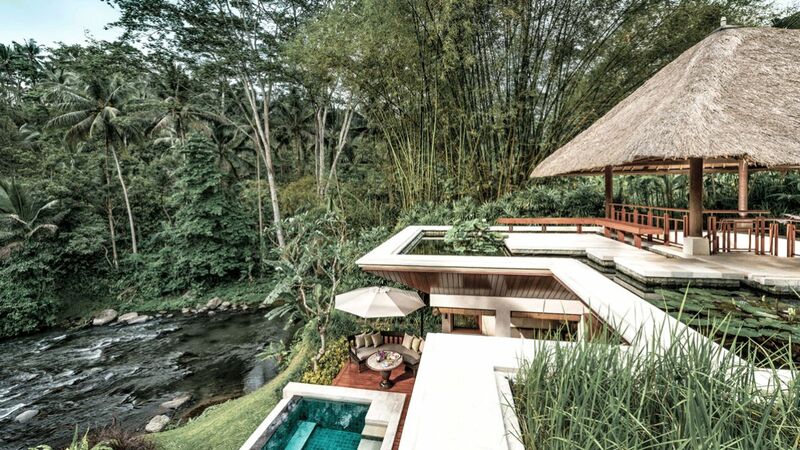 Built on a hillside along the Ayung River, the Four Seasons Bali at Sayan makes you feel like you have been transported to another world with its futuristic design and innovative architecture. 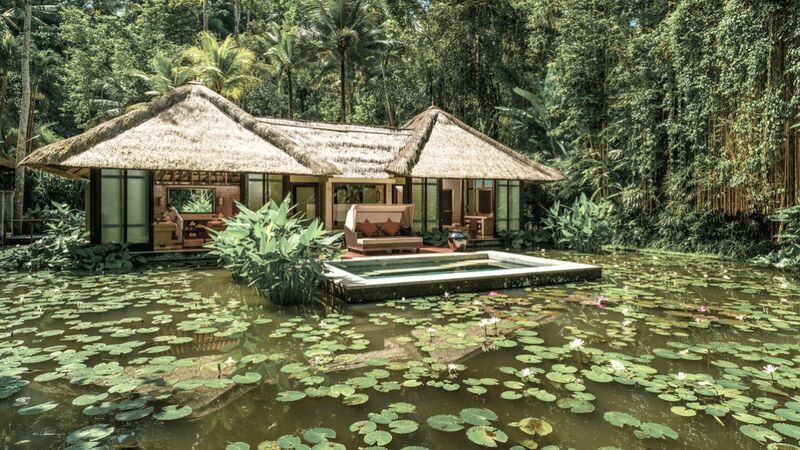 The resort is situated in the Sayan Valley, amidst rolling rice paddies and lustrous jungles, and nestled between two UNESCO World Heritage protected rivers. 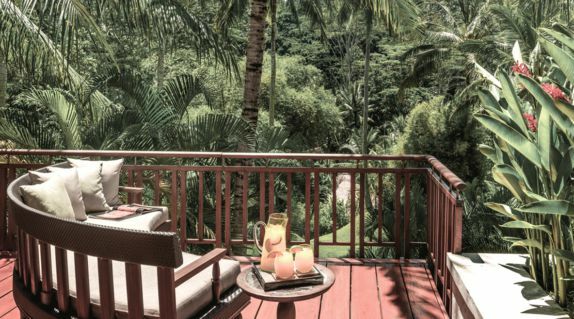 The resort provides ultra private and exclusive accommodations close enough to the action to not feel inconvenienced; yet, far enough away from the hustle and bustle to still enjoy peacefulness. Located less than ten minutes from eateries, stylish boutiques, and traditional markets your home away from home awaits. How are the living quarters? 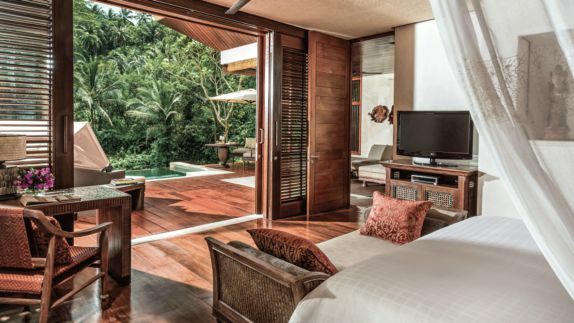 What type of amenities can I expect in my suite or villa? The Four Seasons Bali at Sayan creates a private sanctuary that you may very well never want to leave. 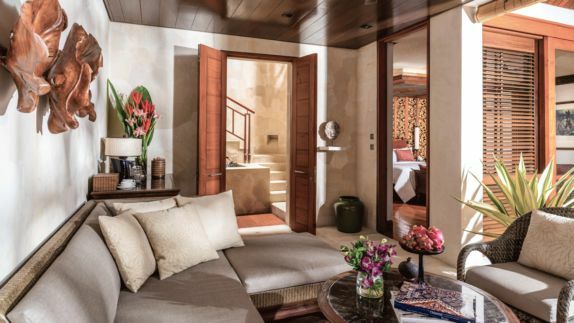 Adorned with teak wood, hand-loomed fabrics, and Indonesian artefacts, this resort exemplifies luxury at the highest standard. You will find exceptional comfort with outdoor/indoor living and dining spaces; as well as a luxurious king bedroom creating the perfect haven for relaxing and unwinding. 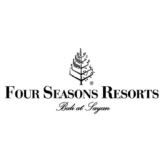 True to the Four Seasons brand, the resort spares no expense and aims to create an impression that will stay with you for a lifetime. Relaxing during my stay is important - what’s the best way to achieve this? Choose from a variety of spa and healing therapies designed to help you reach the pinnacle of relaxation during your holiday. 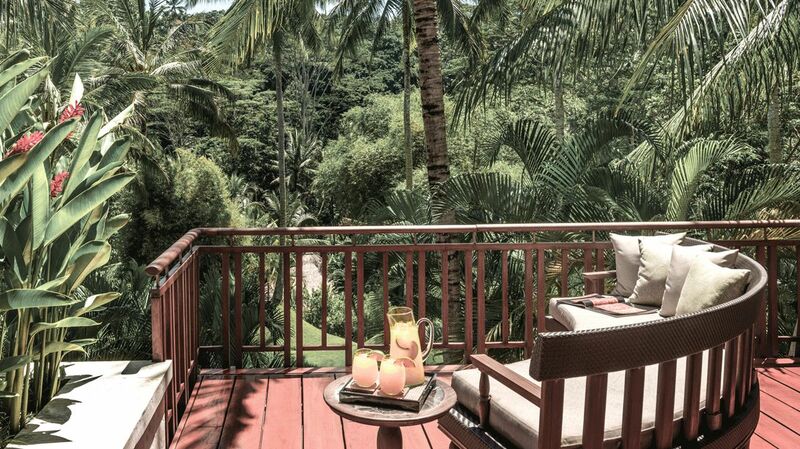 Restore balance to your chakras with traditional Balinese Chakra Ceremonies or be pampered from head to toe with professional salon services such as an avocado and honey hair cream mask or the ultimate mani and pedi. 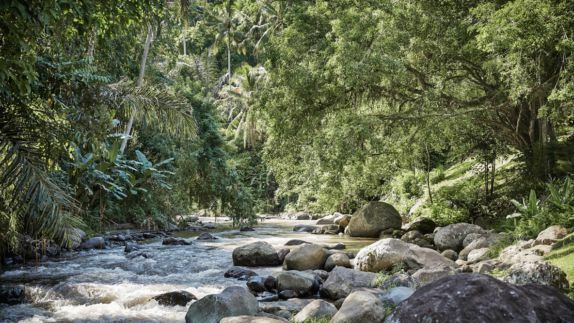 Replenish your skin with natural minerals sourced from the surrounding mountains or take a refreshing dip in the warm or cold plunge pool to unwind from a day of exploration. 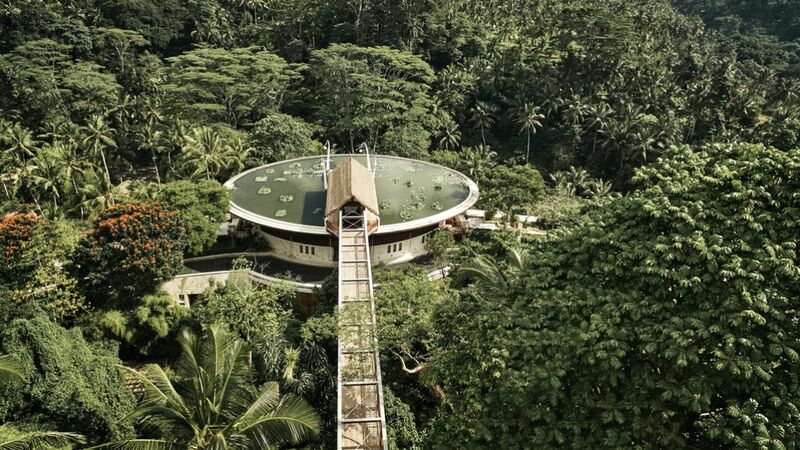 Your options are endless and if you have a hard time deciding, highly experienced healers and therapists will customize a treatment to ensure your experience will be one where you still feel the effects long after your stay at the Four Seasons Bali at Sayan. 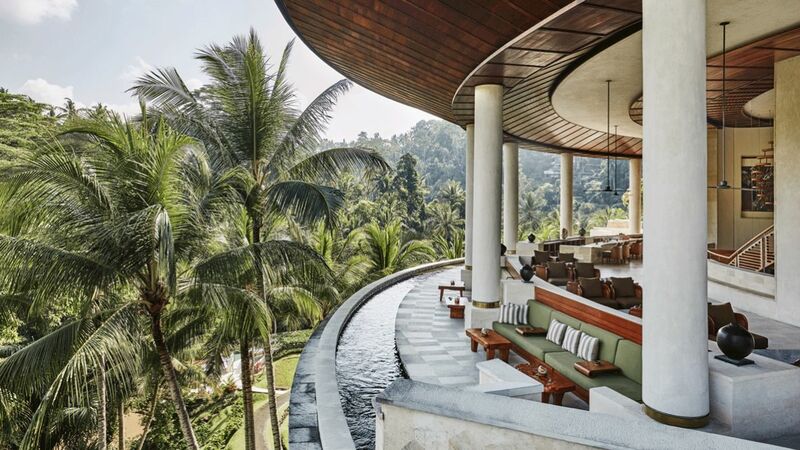 How is the cuisine at the Four Seasons Sayan? What types of restaurants does the resort offer? Embark on a cultural culinary journey as world-class chefs prepare mouth-watering dishes using only the best spices and freshest ingredients. From traditional Balinese cuisine to international favorites, there is something to tantalize all taste buds. 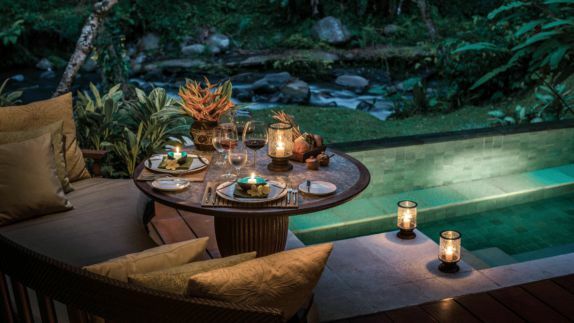 The Four Seasons Bali at Sayan creates the perfect dining ambiance for couples and honeymooners to create memories that last a lifetime. If leaving your villa is not on the itinerary for the day, you can opt for in-villa dining, day or night. What types of activities are available during my stay? Is this a family-friendly resort? A full range of personalized activities can be arranged for guests of the resort. 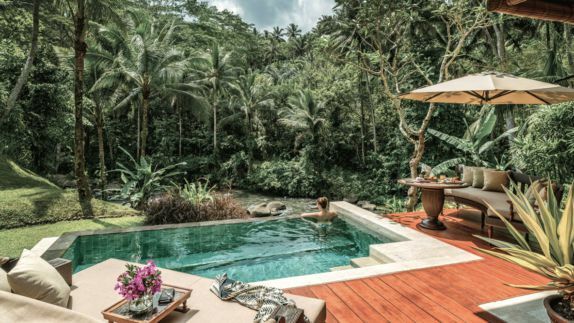 Whether you are seeking to eat your way through an epicurean adventure, pray and connect with a higher source and find your balance, or fall in love with Balinese culture, the Four Seasons Bali at Sayan has activities suitable for any endeavor. There are even activities for the little ones, making this the prime destination for a family holiday to create lifelong memories.